HAI is excited to announce the recent publication of one of the first ever peer-reviewed articles to address mental healthcare in Mozambique! HAI’s very own Brad Wagenaar and Kenneth Sherr, with co-collaborators from the UW and Mozambique Ministry of Health, reviewed over 15,000 outpatient psychiatric consultations between January 2012 and June 2014 in Mozambique’s Sofala province. Using a systems approach, the team identified mental health trends over time and by gender, and health facility determinants of mental health service utilization. 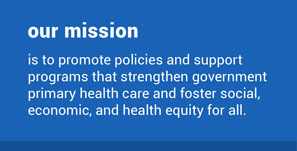 Ultimately, the article advocates for better models and decision-support tools to integrate and scale-up mental health services within primary care practice. Something HAI firmly stands behind! But the details are definitely worth a read. 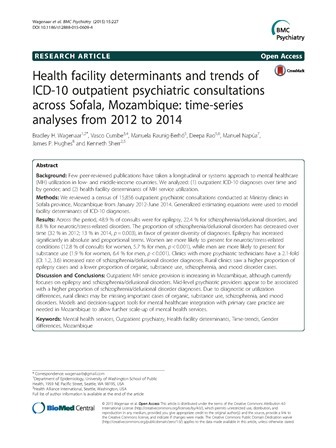 The article, titled “Health facility determinants and trends of ICD-10 outpatient psychiatric consultations across Sofala, Mozambique: time-series analyses from 2012 to 2014” was published in BMC Psychiatry Volume 15, and is available on our website!